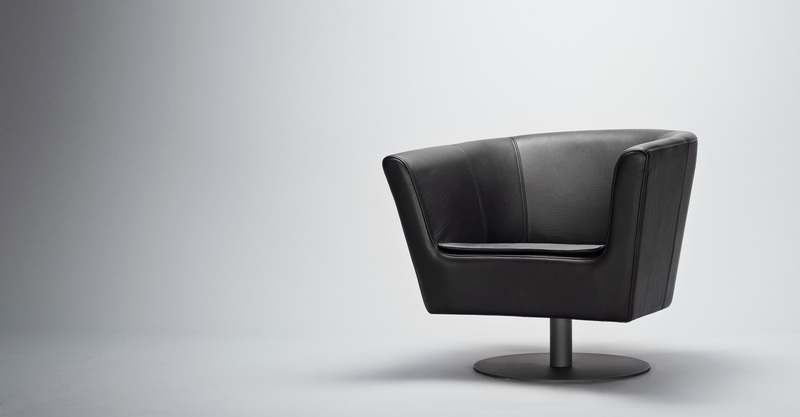 Moris is a functional armchair with a wide range of options. Its winning advantages are its compact size, its comfort and its timeless, lightweight form. Depending on the cover fabric, leather and colours, Moris can be either a discrete complement to leisure furniture or the protagonist in an interior. 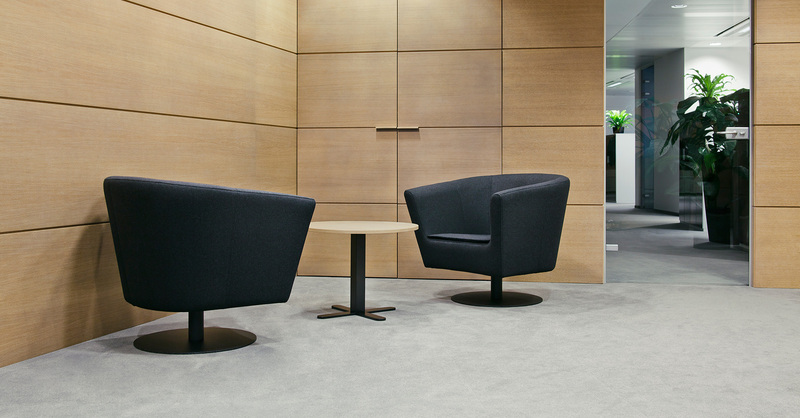 The universal nature of the chair means it’s ideal both in domestic interiors and public areas, standing alone, or in a group or suite, for example, together with the Standard table from the Comforty collection. With a view to the contract market, Moris is offered in approved fabrics and extremely durable eco leathers. Moris’ greatest asset is its steel foot, which allows you to smoothly swivel the armchair through 360 degrees and has a memory return.